Spending a day in Franschhoek is a day well-spent with good food, excellent wine, and picturesque surroundings. Located approximately an hour from Cape Town, the Franschhoek Valley is one of the most spectacular places in the Western Cape and offers an abundance of things to do for visitors. Presenting a wine route with landscapes that are outrageously beautiful, you can also expect to find numerous art galleries, antique shops, restaurants and boutique hotels to choose from. So, you have just one day in Franschhoek, and you want to see as much as possible? Below is a bucket list to have a perfect day in the beautiful Franschhoek Valley. Follow your nose to Lust Bistro where you’ll be overwhelmed with the aromas of freshly baked farm style bread, croissants and cakes. They make the most amazing eggs benedict, but instead of using lemon in their hollandaise sauce, they use grapefruit. Prepare for an explosion of epic proportions when taking that first bite. The service is excellent, and use the free Wifi to post a picture of your scrumptious breakfast. You can’t visit Franschhoek without stopping for a photo at the famous Huguenot Memorial. Situated at the end Main Road, this monument is devoted to the culture and history of the French Huguenots who settled in Franschhoek during the 17th century. You can also visit the Huguenot Museum next door to learn more about the history of this beautiful structure. There are so many renowned wine estates in the area that it is nearly impossible to select which ones to visit. Below are three that offer an authentic Franschhoek wine-tasting while being surrounded by the beautiful mountains and vineyards. Situated in the French Quarter, Richard Branson’s wine estate is famed for its stunning views. A favourite activity for many guests is picnicking on the estate. They primarily grow grapes of the Chardonnay, Sauvignon Blanc, Shiraz, Merlot and Cabernet Sauvignon varieties as well as a few others. This estate only covers its top 16 hectares with vineyards which exclusively consists of red grapes such as Merlot, Syrah, Cabernet Sauvignon and Cabernet Franc. This wine estate offers some of the most spectacular views of the mountains as it is located right at the top, most southern corner of the Franschhoek Valley. Why not finish off your wine tasting with lunch under ancient oak trees by the Franschhoek river? Picnic baskets can be ordered 24 hours in advance. Nestled against the hills of the Franschhoek Mountains, this winery overlooks the impressive Wemmershoek Mountain range. They offer world-class wine since only the best terroir is selected for their Rickety Bridge Sauvignon Blanc. For lunch you can visit Paulina’s Restaurant, which highlights a mixture of half or full portions of its bistro style menu, enabling diners the possibility to sample and share dishes. You might need a caffeine fix by now which you can find at The Hoek, located opposite the library, just off Main Road. They serve it any way you like it! If coffee is not your thing, Lady Bonin teas are available, as well as juices. Since you are there, why not try one of their chocolate twist pastries or big cookies. You will not regret it. Franschhoek is heaven for art lovers, with world-class galleries found on every corner. The galleries are all located close to each other which makes it easy to take it all in while taking a stroll through the charming town centre. These galleries showcase some of the finest artists in South Africa as well as some local talents. You will find anything from fine art to modern sculpture and design in galleries such as The Vineyard, The Moor and Ebony Curated. I bet you are hungry with all the sightseeing you’ve done today? You are in foodie heaven and some of SA’s best restaurants can be found right here in Franschhoek. No doubt, you will be spoilt for choice, and it can be quite challenging to select an eating establishment to round off your perfect day. The Tasting Room, Foliage and The Kitchen at Maison were all featured in Eat Out’s Top 10 South African Restaurants for 2016. Whichever one you pick, you will be sure to end your evening on a high note at any of these three fabulous restaurants. Remember to make a booking in advance as a table can be hard to come by on short notice. Experiencing everything that Franschhoek has to offer in only 24 hours is a tall order, but definitely possible. You simply cannot leave Cape Town without visiting this quaint little piece of heaven on earth! For more information on South African Wine farms and how to visit them when in South Africa, Explore Sideways has all the information you need. Brittany Hawkins passion for food and wine began in her hometown, Napa Valley, California, where she grew up immersed in the wine industry. After receiving a degree from DePauw University, she began her career in Silicon Valley in the advertising and marketing industries. 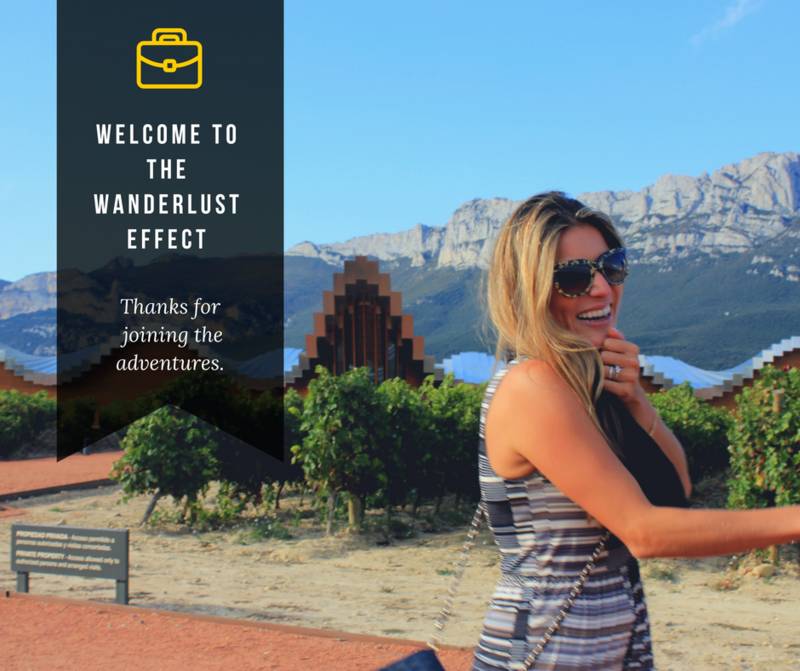 Brittany moved to Cape Town three years ago where she launched Explore Sideways and has since been able to marry her interests in food, wine, travel and tech to create transformative experiences around the world.